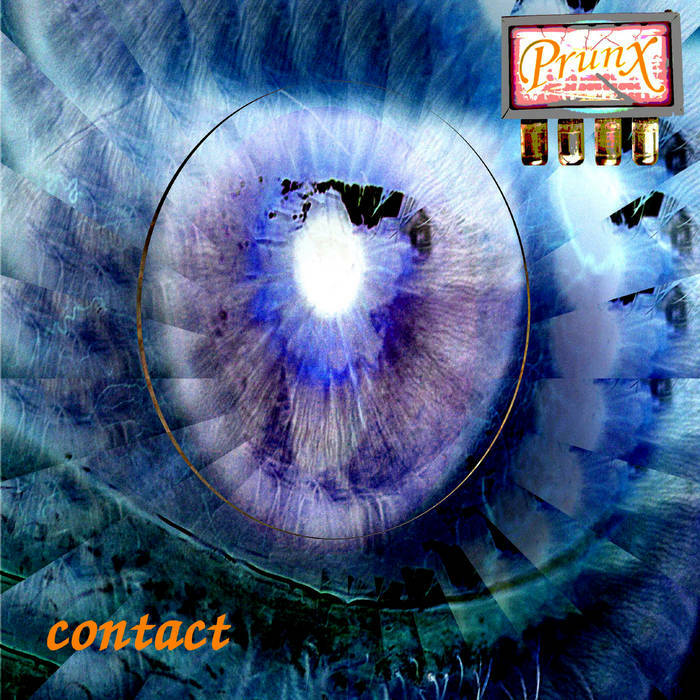 PrunX never hesitate to point out the destructive effects of capitalism, using their unique sound as gateway to a peaceful solar system. Along the way they release their third EP with German Shepherd Records. Contacts presents a view from deep space - favouring your ears with observations of Terra - most haunted planet in our galaxy. First Contact? - as prelude for an upcoming concept album. It's a far out story brought down to earth, when it happens, watch out for Sparks! Deadly Toys reflects a sarcastic sptteful calling out of arms-dealers. Hello, big bosses, generals and royals, legal criminals by your own choice! Life is rich, things are fine, no sue for any crime! Drivin' your Rolls Royce selling your deadly toys! Hi there, manipulators, jerks of all kind, trying to implant lies into our mind! Reality shows its face, get lost again in that maze! Cruisin' your Rolls Royce advertise deadly toys! In pillows 'bove urban ground, rule desaster so profound, steering the fortune wheel, to get the better deal, but people see reality, justice and liberty! Drivin' your Rolls Royce selling your deadly advertise deadly hit by your deadly toys! There’s no time like showtime when you’re a banker in the high time and the interest rates create warlines and you’re doing fine – legal crime! There’s no time like showtime when politicians talk at prime time poisoned sages in golden cages eating up your wages – so! Don’t you feel the pain? Too many die in vain! Don’t you fear the flood coming out of a sea of blood? No time like showtime when you got millions on your hookline! The face designer sets your eyeliner for the hunter's ball – fine! No time like showtime, when you’re a soldier at the front line you have to fight or have to run nowhere else to go – oh! Don’t you feel the pain? Too many die in vain! Don’t you fear the flood coming out of a sea of blood?